Last Friday, I was honored to be mentioned (twice, no less) in the Op-Ed pages of El Universal, one of Caracas’ main newspapers. I thank Miguel Ángel Santos and Maruja Tarre, both of whom found my little rant on this blog (my post “Other Voices) worthy of further comment. Upon reading their articles, I think my position needs to be clarified somewhat. My suggestions for the opposition – some, not all – pertain to the future. They are not an attempt to Monday-morning-quarterback the Capriles campaign. 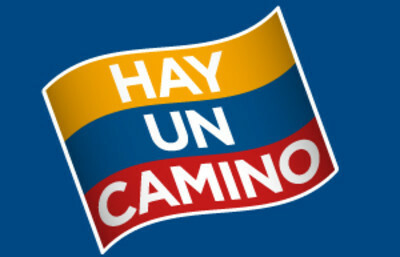 As I have said before, I believe Capriles and his team ran a near-perfect campaign. Even though there were some things I should have spoken up about, I understand the logic that drove them. Capriles wasn’t going to win any votes by promising to change the Misiones or downsize the government, even if he believed in these things – which, admiteddly, he may well not. I certainly think Capriles and his team were being honest in their core message, and in their rejection of the “paquetazo oculto,” a document so screwed-up I didn’t even bother considering seriously. The campaign itself was fine, but that’s in the past. They did their best, but it didn’t work. My main point is that, moving forward, we need to accept our own un-electability, and embrace truth-telling as political strategy, damn the torpedoes. That involves imagining the day our side obtains power and the day of Venezuela’s financial meltdown as one and the same. Obviously, this need for honesty doesn’t apply to everyone in the opposition. As Miguel Ángel correctly notes, not everyone shares my zeal for privatization or my belief that the Misiones need to be corrected. My call was basically a plea for dissenting voices to rise up from the ashes of our defeat, for the diversity of ideas within the opposition to make itself present once again. Many times we have heard that too much dissent within the opposition creates “disunity.” That may be true, but unity is not that important now that we know we are unelectable. If we are to unite the country some day, we need to show tolerance to other voices within our midst, even voices such as mine that go against the prevailing “wisdom” in the opposition. That was the main point in Maruja’s article, one that I fully share. Finally, underlying both articles is a belief that I think the Misiones are somehow bad for the country or that my recipe calls for a reduced role of the State in solving Venezuela’s numerous social problems. I will address this misconception later, in a separate post. But I want to thank both, once again, for their props.